TopLine manufactures daisy chain semiconductor packages, dummy components, zero ohm jumpers, solderable spacers, test die, practice kits, and CCGA solder columns. 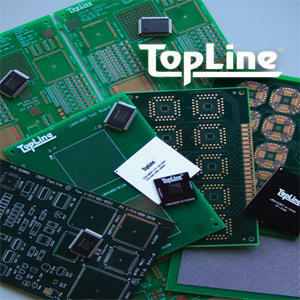 TopLine makes a huge selection of daisy chain test chips for process development, experimentation, machine evaluation, solder training, and SMT assembly practice. Our products provide hands-on learning for engineers. One-stop for all dummy components.